Those who are suffering from, or have a loved one currently diagnosed with, a mood disorder would have — most likely — heard of tryptophan. This essential amino acid, which is sometimes referred to as L-tryptophan, is used to regulate and mediate the production of various neurotransmitters, particularly serotonin. L-tryptophan is used worldwide as an effective treatment for insomnia, anxiety, depression, and even severe cases of premenstrual syndrome (PMS). Its potency lies in its ability to prompt the healthy production of serotonin, a brain chemical heavily involved in regulating mood. The amino acid was discovered by Frederick Hopkins in 1901 after the scientist isolated different digestive proteins. The amino acid is considered to be a crucial building block for different biomolecules such as serotonin and melatonin. L-tryptophan is therefore responsible for different physiological functions which include the perception of pain, the desire and capability to sleep, the feelings of heat and cold in the body, and other various emotions. It is used in many psychiatric practices as a managerial treatment for common mood disorders like anxiety and depression. 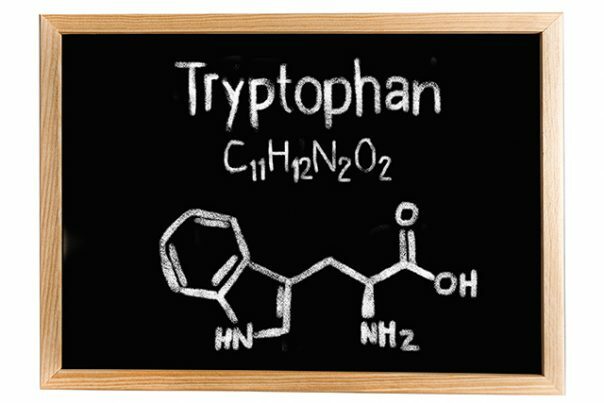 Tryptophan increases the amount of serotonin in the brain and blood which may lessen the severity of these conditions. 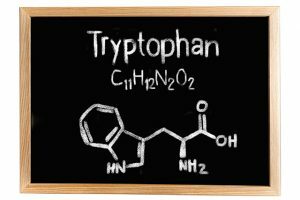 Tryptophan is recognized as a possible cessation agent for nicotine addiction. A few cohort studies have suggested that people addicted to smoking may benefit from taking tryptophan supplements. Even so, tryptophan is mostly used to treat menopausal depressive symptoms, including restless leg syndrome. Patients who take tryptophan often report feeling less anxious and have fewer depressive symptoms. Tryptophan likewise reduces suicidal ideations brought about by severe depression. However, tryptophan is often taken with other psychoactive drugs to cure this condition. Another way tryptophan helps patients with mood disorders is that it regulates sleep. It is often a vicious cycle: depression and anxiety makes it harder for people to sleep which exacerbates their condition. Increasing tryptophan levels normalizes sleep patterns which can aid in serotonin production. This process also implies that tryptophan can be used to control hyperactivity among children. Tryptophan can likewise be used by people who suffer from migraine headaches caused by lack of sleep. Tryptophan is an amino acid crucial in mood regulation. Ergo, it is necessary for proper cognitive function. A deficiency in this amino acid can lead to erratic mood swings and even severe depression. L-tryptophan is used to combat mental illness. There is no standard recommended dietary intake of the amino acid. This would depend per person and the severity of the mental condition. Still, doctors have noted that an average of around 3.5 milligrams to 6 mg is sufficient to alleviate mild symptoms. Foods rich in tryptophan include soybeans, cocoa powder, cashew nuts, peas, and oats. Tryptophan is an essential amino acid that is used to alleviate symptoms of various mood disorders. It regulates the production of serotonin, making it an effective treatment for conditions such as anxiety and depression. It can also be used to regulate sleep and combat a nicotine addiction.